← Bald eagles, a trip to Haines, AK. On Oct. 11 2011, Canon Inc. introduced the EOS 1DX, their latest flagship professional DSLR camera. According to Canon the EOS 1DX was the successor for both EOS 1D Mark IV and the ancient EOS 1Ds Mark III that was long out of production, effectively unifying the 1D series into one full-frame body. The EOS 1 series are the camera of choice for many working professionals given their durability and performance. They also showcase the company’s latest achievements in image sensor, image processing and auto focus (AF) technology. Key features of the EOS 1DX include a full-frame 18.1 Mpixel CMOS image sensor with Dual Digic5+ DSP, 12 fps continuous shooting speed (14fps with limitation) and an all-new 61-point AF module with up to 41 cross-type sensors (with select lenses), plus various other software and hardware improvements. The EOS 1DX keeps the traditional EOS 1 looks, sculpted from solid magnesium alloy and covered with thick rubber it feels chunky and substantial. As with all EOS 1 bodies, you know EOS 1DX means busniess as soon as you pick it up. There are various functional and ergonomic improvements. The grip is deeper and better sculpted compared to EOS 1D Mark IV. It fits nicely in your hand. My hands are not very large but I always found the EOS 1D Mark IV grip was somewhat inadequate when handholding 500mm and 600mm super-telephoto lenses, in particular, the vertical grip was very uncomfortable for me. On the EOS 1DX both grips have been substantially improved. The new camera is wider, taller and deeper than its predecessors, it is also about 6 oz heavier. The size/weight increase over the EOS 1D Mark IV is due to the larger prism and mirror box required to house the full-frame sensor. Overall the ergonomics is a major improvement over the 1D Mark IV, especially for people who handhold super-telephoto lenses. 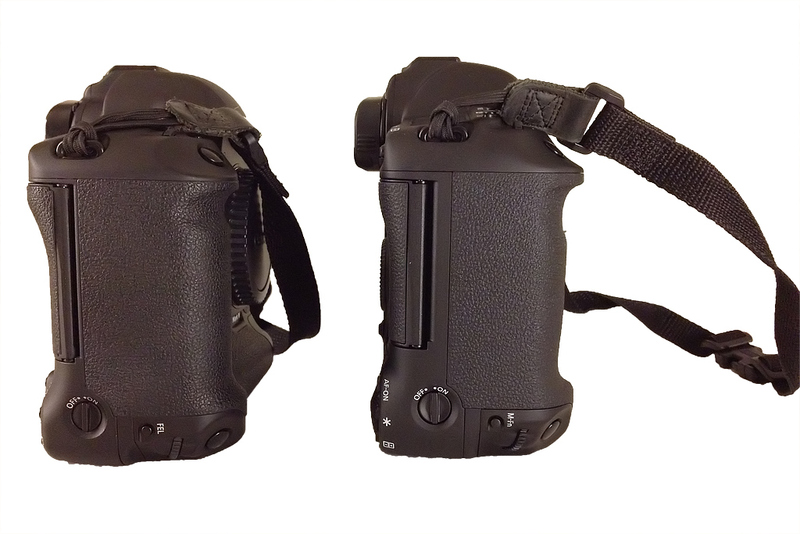 In terms of functionality the EOS 1DX features three fully customizable buttons. Two on the front by the lens mount and one close to the shutter release button labeled as M-fn. These buttons can be programed for complex operations such as changing the number of AF expansion points or changing AI-servo tracking sensitivity on the fly. Fortunately handhold operation is possible since the front buttons can be pressed conveniently by the middle finger while the top button is easily accessible by the index finger. The photographer can execute various functions without the need to take their eyes off the view finder, a great advantage. In contrast, the EOS 1D Mark IV does not feature any programmable button that can be tied to AF custom functions for instance. EOS 1DX (right) vs. EOS 1D MArk IV (left). The EOS 1DX is a larger body. Note the two customizable buttons by the lens mount which are also duplicated for the vertical grip. 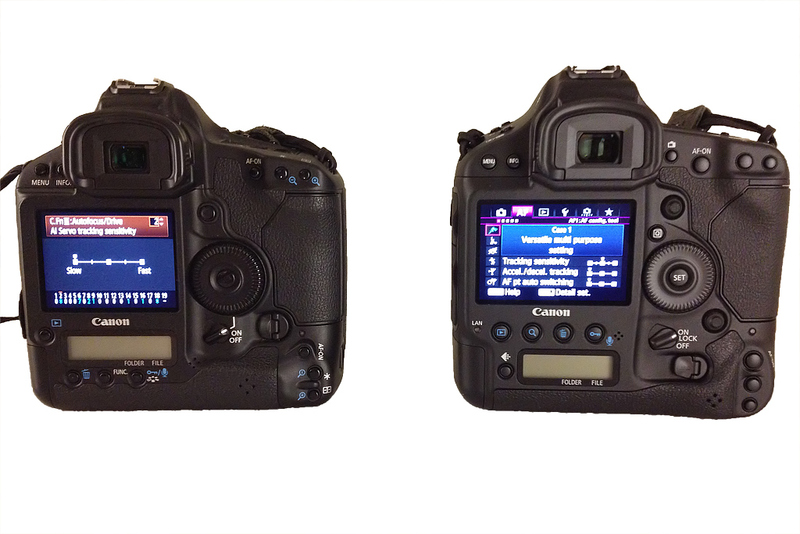 The top of the bodies are very similar, the EOS 1DX has a slightly larger LCD but the information layout is identical, it also has a dedicated white-balance button. EOS 1DX (left) vs. EOS 1D Mark IV (right). The EOS 1DX now features a RJ-45 (LAN) port for direct connection to wired networks, this feature has no use for me but I can imagine it could be very useful for studio shooters or applications where the camera is fixed. Unfortunately Canon have missed the boat on USB 3.0, and the EOS 1DX still uses the old USB 2.0 interface. 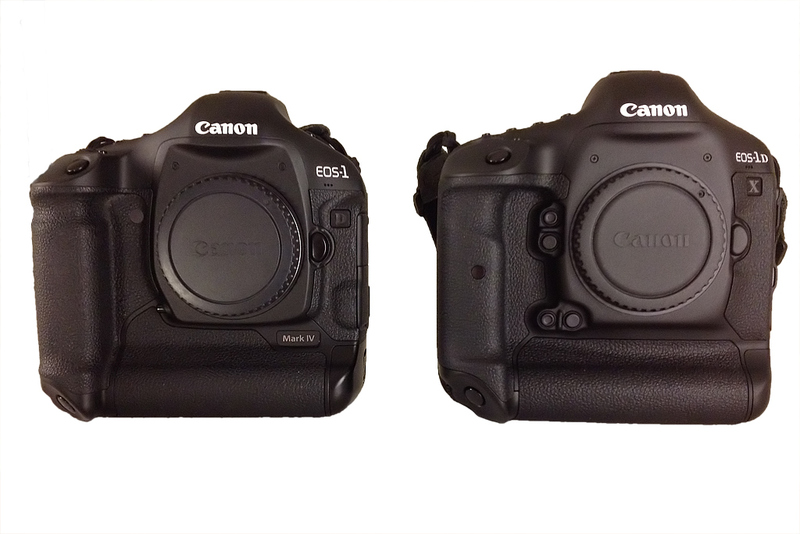 EOS 1D Mark IV (left) vs. EOS 1DX (right). The rubber doors that reveal the terminals have been redesigned. The EOS 1DX also features a sightly larger LCD (3.2″ vs. 3″) which also has more pixels, interface menus and images look crisp and color rendition is very good. It is wider than the EOS 1D Mark IV LCD. The numeric LCD has not changed much, a minor addition is that it can now display video format (HD or SD). The rear buttons are now larger and easier to press when wearing gloves. There is a dedicated live-view button. Canon have also redesigned the joystick, which now features a soft click. It takes some getting used to but it makes for easier and faster scrolling in magnified view. Unlike the EOS 1D Mark IV, the joystick is also duplicated for the vertical grip. Perhaps the most important difference on the back of the camera is the memory compartment. The EOS 1DX now features dual CF card interface while the EOS 1D Mark IV featured a CF and a SD card slot as if Canon were uncertain about the future of CF format. The dual CF interface is extremely useful compared to CF+SD, since the SD card interface is somewhat slow in all Canon cameras (does not support SDUHS). Therefore the SD slot was not usable for action shooting in the past. Now you can effectively double the capacity and not worry about running out of memory, kudos to Canon. 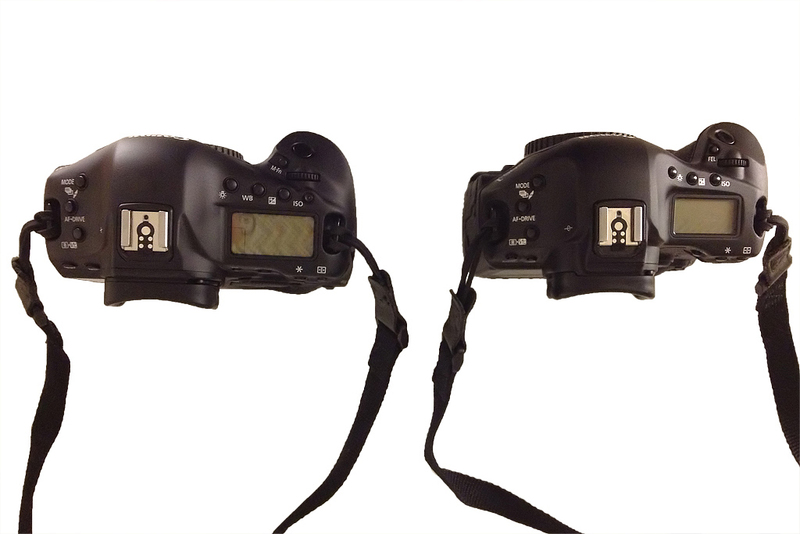 EOS 1D Mark IV (left) and EOS 1DX (right) notice the larger LCD plus dual joysticks for both horizontal and vertical grips. The EOS 1DX finder is much larger and brighter than that of the EOS 1D Mark IV given the full frame prism. Unlike permanent etch marks in the EOS 1D Mark IV, the 1DX has a transmissive LCD and can overlay various information given the settings and the state of the camera. There AF points are displayed in black instead of red, I had no problems with that. 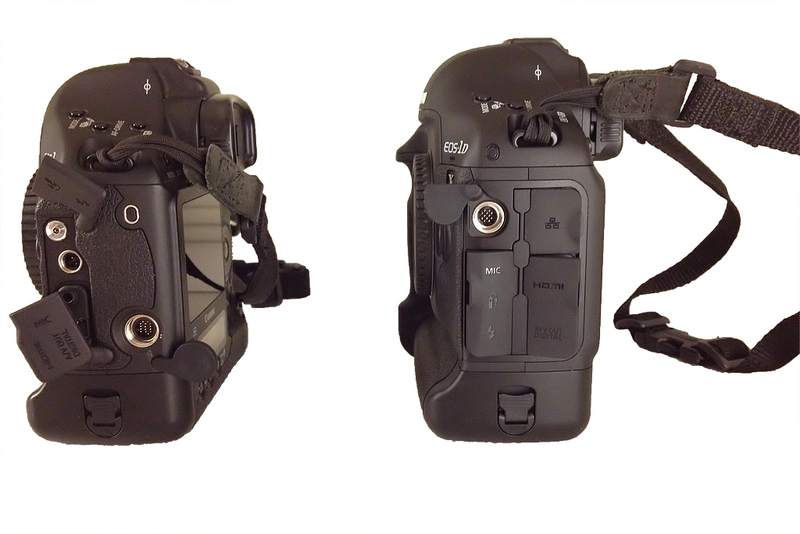 The EOS 1DX also features a slightly larger capacity Li-ion battery pack battery pack (28Wh vs. 26Wh). Overall the new camera brings major ergonomics and functional improvement without being radically different from the older model, which is welcome. Thanks for posting this excellent report. Excellent review. Your comments on the camera’s AF sytem, especially its AI-Servo perfermance all match my experience perfectly. A very well done and very helpful review. Thank you! The comparison to the 5D3 is especially useful. 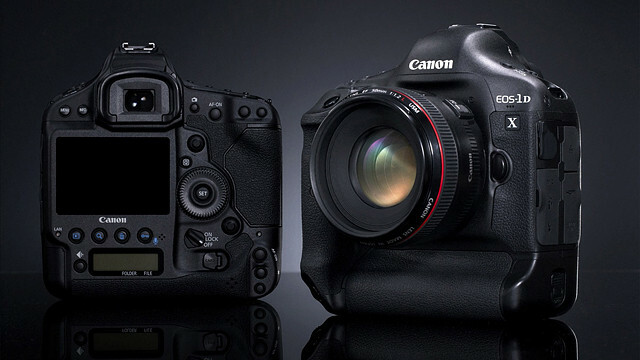 At first glance the 5D3 would seem to win because it is one pound lighter and costs $3,000 less. However, even though they share the same AF module you point out that the 5D3 has a much slower servo performance with long lenses. That is a deal breaker for photographing birds in flight. Thank you Arash for doing such a great write-up on the 1DX. Your writing is very professional, and your results with the 1DX exactly mirror mine. I love the camera. I have been using the 1DX with the 600 II and the 2XIII teleconverter with great results. It is sharp, and capable of focusing quite well on flying birds. I had the exact same conclusions when testing against the 1DIV. I even found the autofocus precision on the 1DX using gave it the advantage over the 1DIV, even in low ISO situations. Excellent review Arash. I agree with everything you have to say about the 1Dx. It really is an outstanding body! Your photos are proof positive of both the 1Dx’s image quality and its AF prowess. The AF system is the best we’ve ever seen – faster and more accurate than anything we’ve ever used by Nikon. Good job Canon! The fastest CF cards can deliver about 70-80MB/sec which is more than the practical USB 2.0 bandwidth (about 35MB/sec). So the USB 3.0 makes sense, there are a number of USB 3.0 card readers on the market for these cards. Thanks for the excellent review with a slant specific to BIF photography. You have addressed the question I had regarding reach limited subjects. Reading your review, I have assumed that your evaluations were all performed using the latest supertele mark II lens which I understand, Canon has also improved for better AF responsiveness when coupled to the 1DX compared to the 1DIV? Not to take away anything from your excellent review, but are you truely reviewing the 1DX or in actuality a complete system consisting of not only the body but new lens models and models new teleconverters, all designed to work together which is not possible when the same lens and teleconverter are used with the 1DIV? When I reviewed EF 600mm f/4 IS II, I used EOS 1D Mark IV. Canon have not indicated that the EOS 1DX can take advantage of series II super-telephoto lenses in a different way than the EOS 1D Mark IV. It is just the superior AF hardware/software in the EOS 1DX that has brought the improvement. Of course the series II 500mm and 600mm super-telephoto lenses are the best choice for avian photographers who use Canon system. A very good and thorough review, Ari. I have only used my 1Dx for sports up to now, but want to get out soon with the 1Dx and my 600mm for BIF shots. What did you find as your best settings for this BIF series? I use expansion mode (4 points) and set the AI-servo tracking sensitivity to slowest. My main concern regarding the purchase of the 1DX compared to my present 7D is the lost of the 1,6X magnifying factor and going back to 1X while using a 600 mm lens. Thanks for your review! …and your pictures of the kestrel and the white tail kite are TRULY outstanding! First to clarify, the what so called crop factor has nothing to do with the number of pixels you get on a subject, it is the pixel size that determines number of pixels on the subject in a FL-limited situation. As for the 7D is not really a camera that I would recommend for professional bird photography, its sensor is very poor when it comes to high ISO and its AF is not accurate for flight. It does not meet my standards so I don’t shoot with it or recommend it. If budget is tight, I recommend the EOS 1D Mark IV or EOS 5D Mark III instead. Thanks for your answer Arash. I am not sure though that you have answered my concern. I love to take full frame pictures of birds with lots of details. If I loose the 1,6 X crop factor, at a given distance, eg across the street, the bird will be smaller in the frame with a 1Dx than with a 7D if shot with the same lens. So I will have to get closer to the bird to get the same ratio bird/frame. Quite often, getting closer to a bird is far from being an easy task! This lost of ratio bird/frame is my concern : I am not sure I will get the same picture quality with a shot that is a crop from a 1Dx while it would a full frame shot with a 7D. I am concerned about the loss of the magnifying factor in regards to image quality. If you have any opinion about this, I am interested to know it. As I mentioned, It is not the crop factor that gives more detail on the subject at a given FL, it is the pixel size. The crop factor equals more reach is a common misconception that troubles many photographers. The 7D has smaller pixels so it will have more pixels on the bird at a given FL, thus the bird appears larger on your screen. But the smaller pixels collect less light and have lower signal to noise ratio, so the image quality with 7D is really poor when compared to a 1DX despite the fact that 7D has more pixels on the bird. If your lens is too short to take advantage of 1DX I suggest you invest in a 500 or 600 supertelephoto lens first then get a new body. Hi Arash, an excellent hands on review. For you BIF photography have you played around much with 1st and 2nd shot focus or release settings? Common sense to me would suggest that they should be set to focus. However, I have noticed delay issues when trying to do erratic flying European jays at close range, although this has been with a mk1 500mm which I suspect is less responsive than the newer versions. Just wondered what your experience with these AF settings has been? Thanks for your comments. The few times I switched those settings I did not see a noticeable difference with the 600 II. I always use far limit, so maybe it would be more noticeable if you are using full range or close limit. Once again Arash you have come through with the goods. An excellent and pertinent review which I have already stored in my collection of your reviews and past posts. Appreciate your review, and just purchased a 1DX. Using AI-Servo mode, with expanded AF point selected and all 61-points available, I was under the impression that if the camera obtained focus on the bird when a series of continuous shots was started, the focus would follow even if the target (bird) flew off the original AF point. I’m finding this not to be the case (Cases 5 and 6) with birds flying across the FOV. Unless I keep the initial AF point on the bird (tough with Swifts and Terns) , shots go out of focus — even against a plain sky. On the other hand, my wife’s 50D has no problem in similar circumstances. What am I doing incorrectly? Using 70-200/2.8L IS II in bright daylight. I’ve actually had better luck with my 1D4. I was wondering: is the area around the vertical shutter button plastic like on the vertical grip of the 5D mark III or metal like the area around the main shutter button? Thanks, there are no plastic parts used in 1DX body, except for the buttons. I thought at least the battery door was plastic. When looking at the magnesium alloy frame of the 1DX, there are clearly some parts left out (such as the battery door and the area around the vertical shutter button), so I assumed those were plastic parts. The EOS 1DX does not have a traditional “battery door” because that would be a weak point for the camera in rain/snow. The battery itself is a magazine that loads at the base of the body and it seals tightly by turning a locking lever. The 1DX AF is in a different league when compared to consumer cameras such as 7D. You can set “focus search” to ON in your 7D to force focus search in extreme de-focus conditions but that may cause hunting. I never use third party lenses, nor do I recommend them.